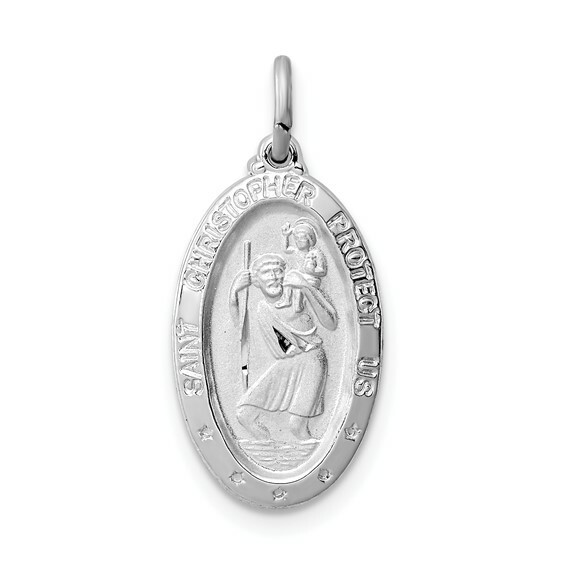 Sterling silver St. Christopher medal. Weight: 1.12 grams. High polish and satin. Measures 5/8in x 3/8in without bail. This item is smaller than a dime. Chain not included. Perfect size for my wife & very stylish!